For over 40 years, Argo High Perfomance Conrods have been specifically and precisely engineered to deliver the highest performance possible. We are recognised throughout Australia and around the world for delivering relentless quality and performance, cutting edge design and first class customer service. Greenlist Conrods are Argo’s most popular selling rods. Argo stocks these rods on the shelf for immediate delivery at our best prices. 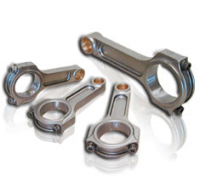 Stock conrods are usually in stock or can be manufactured within 2 weeks. Can’t find it Anywhere?. We can custom manufacture ANY rod to ANY specification. Phone us on 02 4934 7099.